When you were a student, did you ever want to write a book? Perhaps you actually were given the task to create a book on a given topic and share it with your class. In some capacity, assignments like this are still given to students in classrooms around the world. The idea may be the same, but the tools available have drastically changed! As we celebrate Appsmash Innovation Month, let’s start by considering how Book Creator and Flipgrid can be used together to share, celebrate, and showcase student learning in the classroom and beyond! Book Creator is a powerful tool that allows students to become creators of content and authors of their own books. Using Flipgrid as a platform to share their creations provides an incredible extension of the learning, helps students share the “why” behind their work, and serves as a place to celebrate their finished product. Creating content in one app and enhancing it in another app is what appsmashing is all about. Book Creator and Flipgrid work very well together and are perfect companions if you are just beginning your appsmash adventures! So, how do these two apps work together? Let’s first consider some of the tools available within Book Creator. Students can add media to their pages within their Book Creator project by uploading photos, launching the camera, drawing or annotating with a pen tool, adding text boxes and even recording audio. They can also add shapes, upload files, add Google Maps and even embed the web. These options provide endless possibilities for students as they create and share original content related to their learning goals. One of my favorite examples of student created books comes from Ruth Gaer’s class. Mrs. Gaer had her students write stories then illustrate, record, and publish their books in her foreign language class. These books represented the Spanish language acquisition and oral speaking skills the students were developing and was also a celebration of their creativity and unique voice. But what happens when our students are done creating? How can they share a finished product? There are various share options for a Book Creator project; one that is used often is the Export as Video option. If students record audio within the pages of their Book Creator project, when they share their books, each book will play like a video and automatically advance with each page of the book. 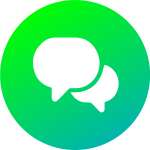 Importing a finished product into Flipgrid allows for students to share their content with peers and showcase their work beyond their device. To share Book Creator projects in Flipgrid, students will choose to import a video rather than recording a video. The process for accessing the Grid is the same, but instead of clicking on the red record button, students will select Options and then select Import Video. They then select their Book Creator video from their camera roll and import their video into Flipgrid. Imagine the possibilities for a Grid full of student created books! The Import Video option in Flipgrid provides a whole new way for students to showcase their learning. Allowing students the opportunity to create in one app, save a video to their camera roll/Chromebook, and import the video into Flipgrid means that new possibilities exist for sharing and celebrating learning. Beyond that, there is endless potential for the discussions and collaborations that can take place on Flipgrid as students share the books they author, discuss their learning and ideas in the books they create or revisit their books that teach a skill or concept. Appsmashing does not have to be complicated at all. What gets started in one app and shared to another is the magic of appsmashing. As students create, they will come to see how they can mix and match their favorite parts of different apps to create something completely different. If you’ve never tried to appsmash, or never uploaded a video into Flipgrid, give it a try! Creating books, recording audio, and capturing student voice is truly a special way to showcase a student’s learning. Sharing the learning in a classroom, school, or even global community is empowering and is one way that we can provide authentic audiences for our students to share their voice with others. Ready to go to the next level with appsmashing? Check out these resources for some new ideas! 💡 Check out Joe Merrill’s Book Creator and Flipgrid Integrate and Create eBook with tips and tricks to get you started. 💡 Learn some new ideas from the #Appsmashing Guide Volume 1 or Volume 2 by Joe Merrill. 💡 Revisit the Flipgrid Appsmash Bash Webinar with Jornea Erwin for even more ideas on appsmashing. 💡 Catch the highlights from Flipgrid’s Appsmash Madness 2018 and view Sean Forde’s winning #WorldReadAloud idea. 💡 Looking for a creative way to design your Book Creator book? iPad Master Class: Creating Learning and Teaching Resources by Alan Ellis will surely inspire you. Throughout October, Flipgrid is featuring Joe Merrill, a visionary First Grade teacher from Florida and the King of Appsmashing, and learning a bit more about his approach to appsmashing. Here is some practical advice from Joe on how to get started with appsmashing. Here’s to all of the appsmash adventures ahead! Have fun exploring the possibilities with Book Creator and Flipgrid! Let us know how it goes on Twitter and give me a shout any time! Hello friends! I am so excited. This is my first #GridTip and I’m starting off with a celebration of reading! As educators, we want all of our students to be successful. We also want them to develop a love of reading. By providing pathways for all readers to share, we can celebrate alongside our students as they develop skills related to phonics, vocabulary, fluency and comprehension. 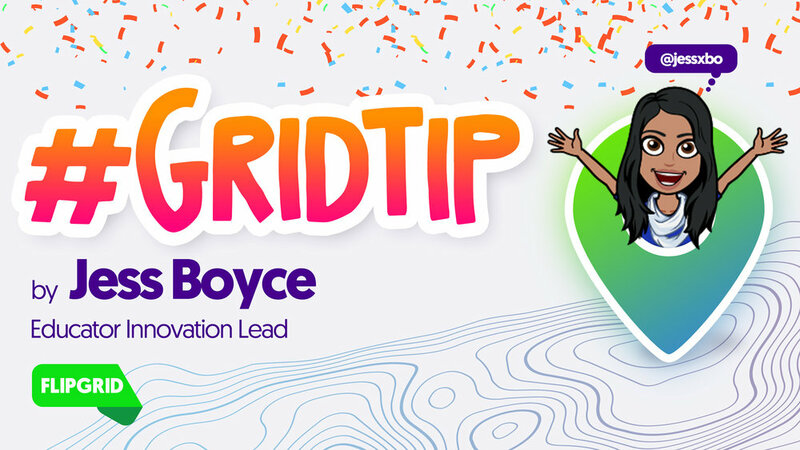 In this #GridTip I'll share how one school champions their readers using Flipgrid and provide tips for creating your own Celebration of Reading Grid! Emily and the staff got together and brainstormed topics that would be meaningful for the students. Teachers, Specialists, and Administrators joined forces and provided opportunities for classrooms to “sign up” and students immediately began adding to the Grid. #BWReads became a movement that involved the entire learning community and grew beyond a school wide celebration of reading. Just check out these reviews from students, teachers, and admins! 🔒Determine which Grid Community type works best for your school. Unsure which Grid type you need? Here's some information to help you choose! 👩‍🏫Help teachers and students learn how to use Flipgrid. Encourage the staff to try it out first. Go hands on and push buttons. If you’re new to Flipgrid, be sure to check out the awesome Flipgrid Booth Instruction Posters created by Student Voice Ambassador Claudio Zavala. 🧠Brainstorm with your community to generate Topics that will be meaningful for your readers. Let students and families suggest Topics too! Make sure you have a wide range of Topics that interest readers of all levels. Share examples of how to organize your thinking (Thinking Maps, Graphic Organizers, etc) to help students be successful with their first response. 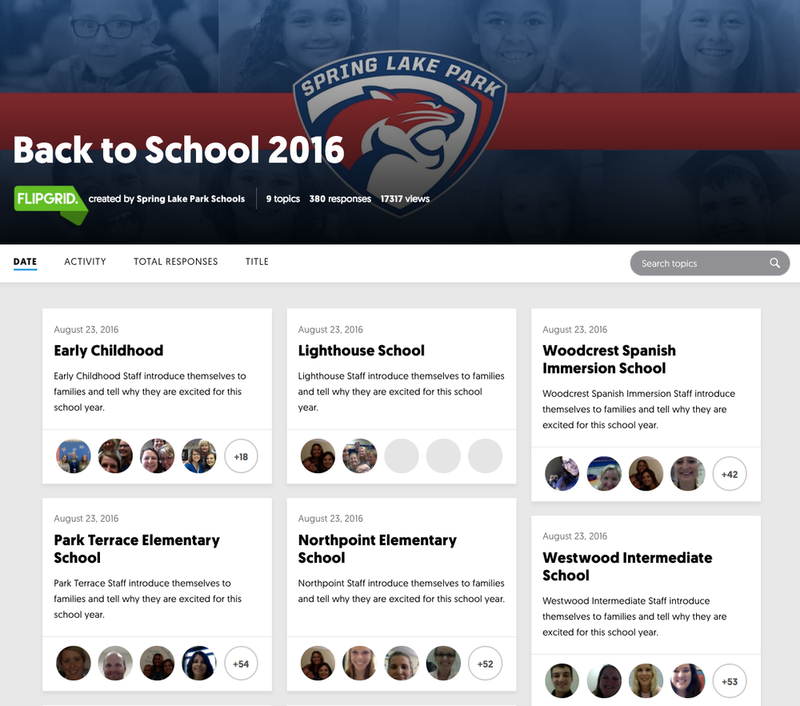 💌Partner up with your teacher peers and admins then share the Grid widely with your community. Promote your Grid at Back to School Night, in your school Newsletter, on your school’s social media pages, talk about it and let your community know what you are trying to do to celebrate the readers on campus.